January 16, 1953 to May 25, 2018: Ellie enjoyed quilting, baking bread and camping with her grandson Kyle. 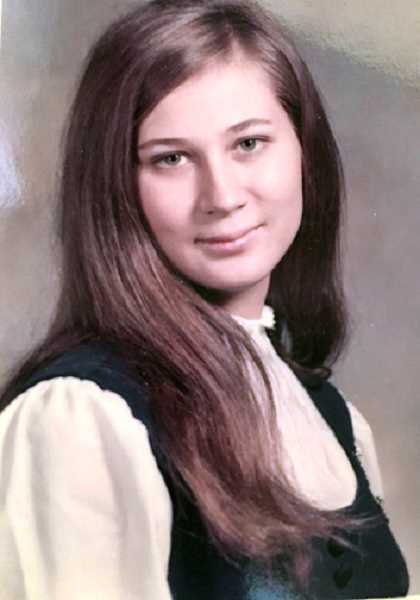 Eleanor (Ellie) Louise Bourgo Venable was born January 16, 1953, in Gresham, OR to Lambert and Geraldine Bourgo. She died peacefully at her home in Dundee, OR on May 25, 2018. She was preceded in death by son Johny D Venable (February 16, 1972), father Lambert Bourgo, mother Geraldine Bourgo, sister Mary Mackrill, and sisters in law Diane and Luann Bourgo. She is survived by husband Kenneth, daughter Holly Bradford (Martin Bradford), granddaughter Jasymine Darling (Jacob Darling), grandson Kyle Bradford and 2 great grandsons Tristan and Trevin. Ellie grew up in Gresham, one of ten children. She attended Gresham High where she met the love of her life Ken. They married January 15, 1971. Ellie enjoyed quilting, baking bread and camping with her grandson Kyle. I miss you so much, Mom.